Once a tire has been mounted over a wheel, it’s time to inflate the tire and seat that bead. 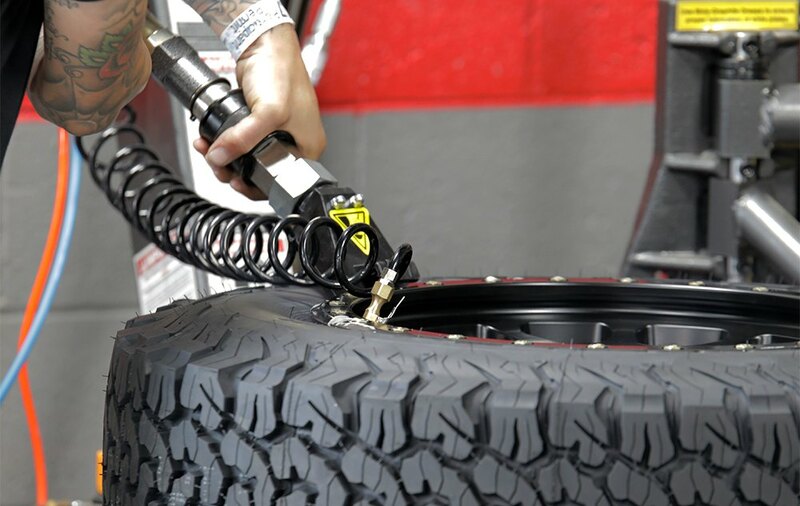 Every Ranger tire changer comes with a standard air pressure gauge and air hose, so you can fill the tire up to the manufacturer-recommended pressure. However, some beads are stubborn and won’t seat. Air continues to leak out and the tire remains flat. What you need is a powerful burst of air that will force the bead to seat on the wheel and prevent more air from seeping out the edges. Ranger’s exclusive Turbo-Blast™ system is the fastest, safest way to seat stubborn beads. A single blast of air is all it takes—that’s how powerful this tool is. Many other tire changer machines don’t have this feature, which means you need to get a portable air tank unit. They work, but they’re just another cost and inconvenience to you. 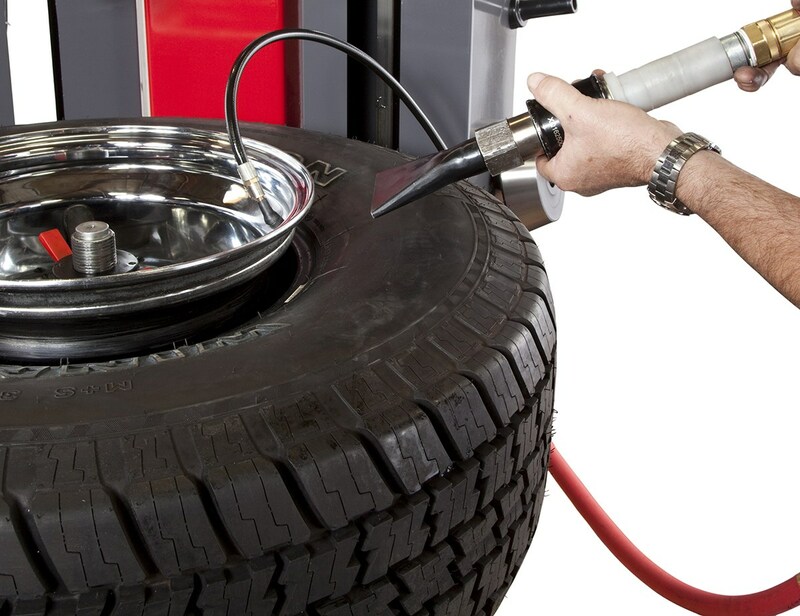 Since you’re bound to encounter a difficult-to-fill tire sooner rather than later, we make sure to include the Turbo-Blast system with your tire changer. It stows neatly on the side of your machine, safely out of the way. A bead seater is safe when used properly, but it is probably one of the more dangerous tools in your shop. The blast of air that comes out of it is incredibly powerful. Aim it at a high ceiling, and you might see hanging lamps shake. Never aim the air blast directly at a person. At close range, a blast can be catastrophic. It can knock the wind out of a person or worse, depending on where it hits and at what range. Still, the blast only comes out of the hose when the hose head is "pumped" back (like a pump shotgun).